Now, the highly suspicious and secretive hitman community will have to break their cover — at least, to each other — and help take down this killer before the cops and the Feds discover his true connection to their own secret, exclusive society. While I am a big fan of Kelley Armstrong, it took me quite some time to pick up her Nadia Stafford series. At first I was so into the paranormal genre I thought I wouldn’t enjoy this series, then i eventually bought it and read more genres. But I still wasn’t sure whether I would enjoy this series. Now I own this whole series and decided it was finally time to pick it up. 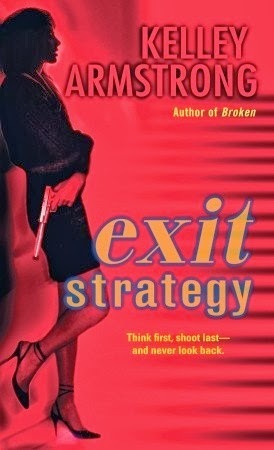 Exit Strategy is really different from Kelley her other books, but it still has a lot in common too. 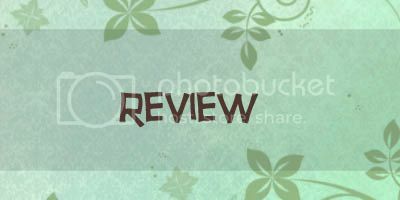 I love Kelley her writing style and I quickly got into this book and wanted to know what would happen next. It starts a bit slowly giving some background information about the life of Nadia, before the real story of the serial killer starts. I really enjoyed this book, there is a lot of suspense and figuring out things and sort of detective work. I don’t read a lot of books with a murder mystery, but I found out I really enjoyed them. There is just something so fun about trying to figuring out who the killer is and seeing them follow different leads. I really liked Nadia, from the start I liked her. She is such a great character, she has the right motivations for what she does (if there even is such a things) and the author doesn’t shrunk back to also shows the blacker parts of her. The side characters are nice too, I really liked Jack, he is so to the point and really Jack. I wish we got to know more about him though, because well we don’t get to know alot about him because he doesn’t tell and talk a lot, but he seemed like a really interesting character. Evelyn was also a nice character, although i couldn’t really get a good idea of who she really was, but I think that was intentional and I would like to see more of her in the next book. There are also some chapters from the third person view of the murderer and the victims, those chapters where a bit hard to read sometimes, because I knew they where going to die and in the chapter there was still enough to get an idea of them and their life that I felt bad knowing they would die. To conclude: I really enjoyed this book and I can’t wait to read the next 2 books in this series, because I have the feeling they are going to be even better than this one. The story was enjoyable, although a little slow at times. The characters where great and I want to know more about them. I love Kelley Armstrong her writing style and am so glad I finally decided to pick this book up.